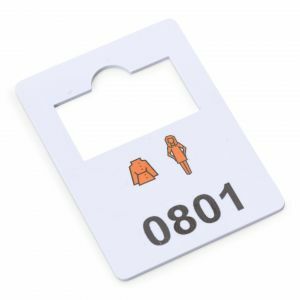 Plastic cloakroom tokens are made of high-quality plastic and are reusable, unlike paper numbers. 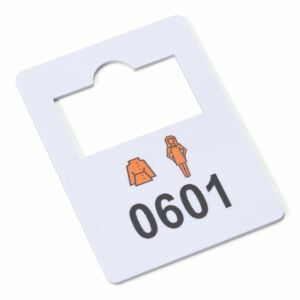 If you order plastic cloakroom numbers before 6:30 PM, the order will be sent the same day. The cloakroom numbers in this category are made of high-quality plastic, which makes them reusable. 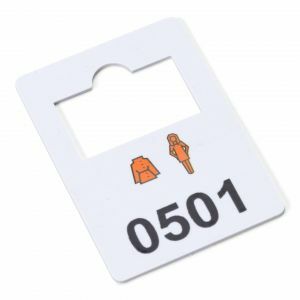 Paper numbers are no longer easy to use after only once, they are crumpled in your customers' pockets or wallets, degrading them and making them unreadable. 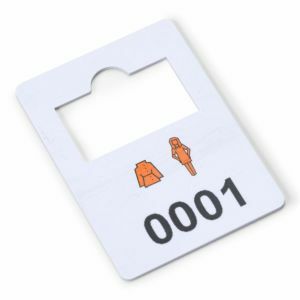 Plastic cloakroom tokens are sturdy so they do not degrade and the ink on the numbers will not fade. Not every cloakroom is the same size. 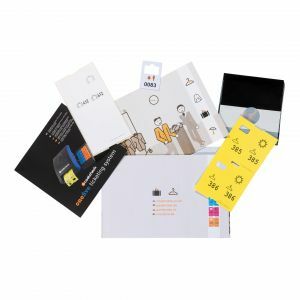 For this we have several number series available. Do you have a cloakroom with room for a few dozen coats? Then the set with 100 cloakroom numbers is sufficient for your cloakroom. 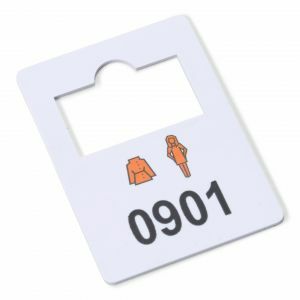 If you have a cloakroom with room for over a thousand jackets and bags, the set of 2000 cloakroom numbers is applicable. 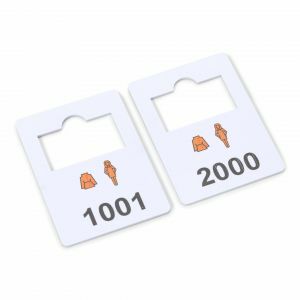 Our plastic numbers are available in series of 100 so there will not be a large number of unused tokens. 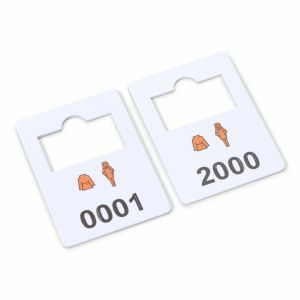 Thanks to their separate number series, it is also possible to replace a number of lost tokens or to extend the cloakroom with a new range of numbers. 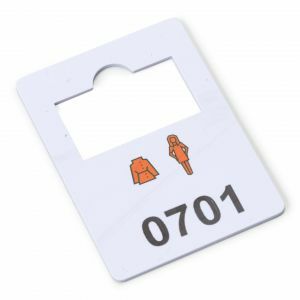 Our solid cloakroom numbers are delivered in singular. If you want one token for the clothes hanger and one that you give to the customer, we recommend ordering the numbers in duplicate. The numbers have a special design, so they fit on (practically) every coat hanger and coat rack. The hole in the labels is large enough and provided with a notch for the iron hook on the coat hanger. 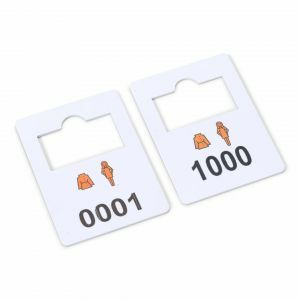 We always have cloakroom tokens in stock, so we ship orders placed before 6:30 PM the same day, without extra shipping costs.